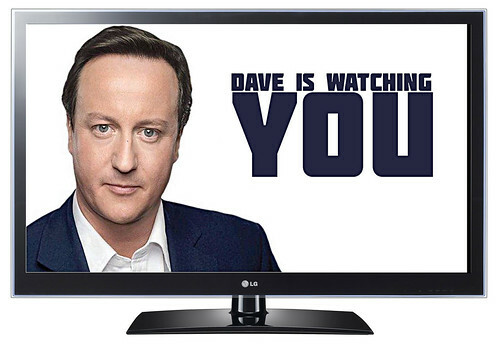 Dave is watching you., a photo by Teacher Dude's BBQ on Flickr. I HEART AUSTERITY, a photo by Teacher Dude's BBQ on Flickr. Cameron and Brown: separated at birth, a photo by Teacher Dude's BBQ on Flickr. 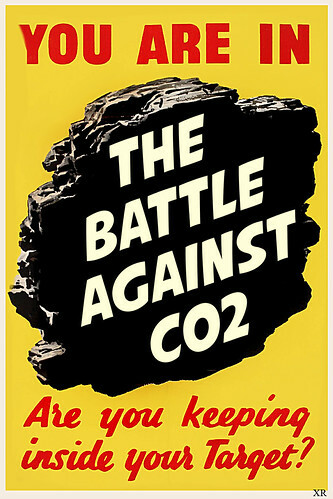 You are in the battle against co2 - the poster, a photo by Teacher Dude's BBQ on Flickr. True facts! How the EU got away with the perfect crime! True facts! 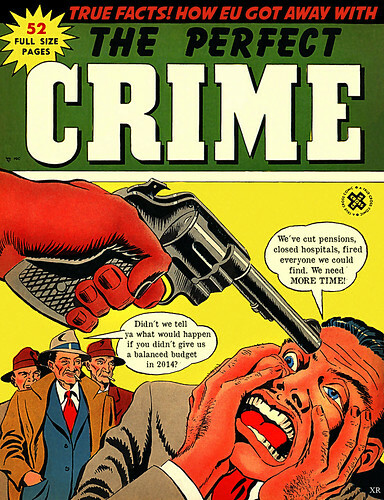 How the EU got away with the perfect crime!, a photo by Teacher Dude's BBQ on Flickr. 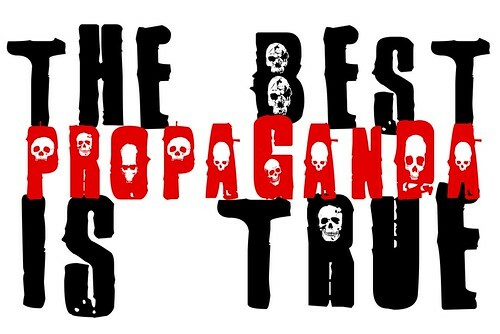 The best propaganda is true, a photo by Teacher Dude's BBQ on Flickr. 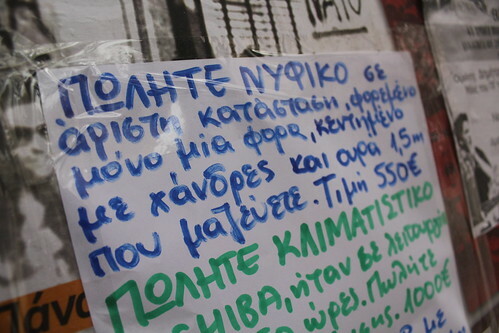 A Modest Proposal For The Crisis Of The Greeks, a photo by Teacher Dude's BBQ on Flickr. 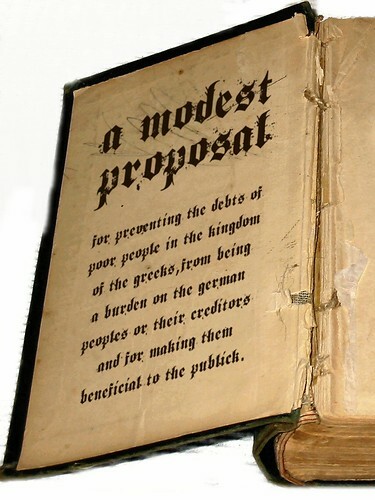 A MODEST PROPOSAL For preventing the debts of poor people in the Kingdom of the Greeks from being a burden on the The German Peoples or their Creditors and for making them beneficial to the publick. 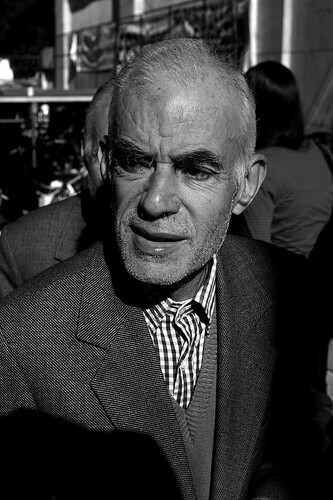 It is a melancholy object to those, who walk through the Capital of The Greeks, or travel in the country, when they see the streets, the roads and cabbin-doors crowded with the families of those who have taken their own lives, followed by three, four, or six kith and kin, all in black, and imploring every passenger for justice. These descendants of Pericles and Aristotle instead of being able to work for their honest livelihood, are forced to employ all their time in stroling to beg sustenance for their helpless offspring who, as they grow up, either turn to Godless anarchism for want of work, or leave their dear native country, to work in the Factories in the lands of the North, or sell themselves to dens of inequity. But my intention is very far from being confined to provide only for the Greeks: it is of a much greater extent, and shall take in the whole number of those of the race of the Germans who at a certain age, become prone with the passage of time to the corrupting effects of Nature's hand upon our weak flesh. I shall now therefore humbly propose my own thoughts, which I hope will not be liable to the least objection.I have been assured by a very knowing Doctor of my acquaintance in London, that a healthy Greek well nursed, is, a most suitable nourishing and wholesome Donor of humane organs, whether heart, liver, kidney, or pancreas; and I make no doubt that it will equally be of service in a male or a female. Supposing that one thousand families in the state of the Germans, would be constant customers for fresh organs, besides others who might have need of them on other occasions, particularly after misfortunes upon the King's road, I compute that Athens would take off annually about one thousand carcasses; and the rest of the kingdom (where probably they will be sold somewhat cheaper) the remaining two thousand. But, as to my self, having been wearied out for many years with offering vain, idle, visionary thoughts, and at length utterly despairing of success, I fortunately fell upon this proposal, which, as it is wholly new, so it hath something solid and real, of no expence and little trouble, full in our own power, and whereby we can incur no danger in disobliging Europe. For this kind of commodity will not bear exportation, and flesh being of too tender a consistence, to admit a long continuance in ice, although perhaps I could name other countries, which would be glad to use up the whole nations supply of Internal Organs without a second thought. I desire those politicians who dislike my overture, and may perhaps be so bold to attempt an answer, that they will first ask the families of these Damned Souls, whether they would not at this day think it a great happiness to have their Departed ones sold for their organs, in the manner I prescribe, and thereby have avoided such a perpetual scene of misfortunes, as The Greeks have since gone through, by the oppression of bankers, the impossibility of paying debts without money or trade, the want of common sustenance, with neither house nor cloaths to cover them from the inclemencies of the weather, and the most inevitable prospect of intailing the like, or greater miseries, upon their breed for ever. Apologies in advance to fans of Jonathan Swift's original. 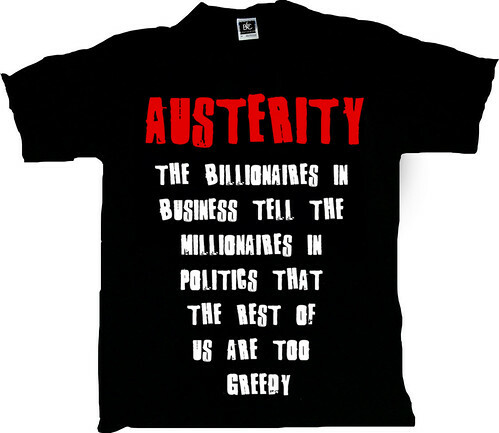 AUSTERITY - THE T-SHIRT, a photo by Teacher Dude's BBQ on Flickr. 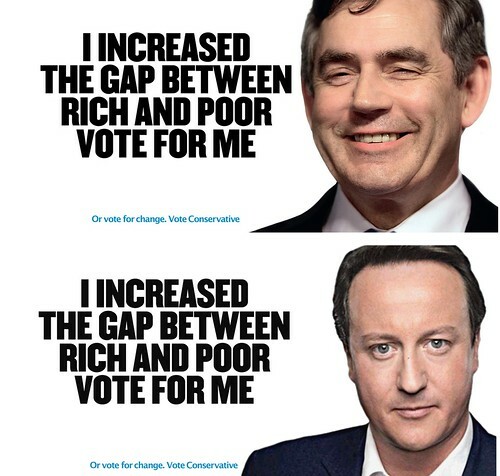 Austerity - The billionaires in business tell the millionaires in politics that the rest of us are too greedy. "The telescreen received and transmitted simultaneously. Any sound that Winston made, above the level of a very low whisper, would be picked up by it,"
"The telescreen received and transmitted simultaneously. Any sound that Winston made, above the level of a very low whisper, would be picked up by it,", a photo by Teacher Dude's BBQ on Flickr. "Behind Winston's back the voice from the telescreen was still babbling away about pig-iron and the overfulfilment of the Ninth Three-Year Plan. The telescreen received and transmitted simultaneously. Any sound that Winston made, above the level of a very low whisper, would be picked up by it, moreover, so long as he remained within the field of vision which the metal plaque commanded, he could be seen as well as heard. There was of course no way of knowing whether you were being watched at any given moment. 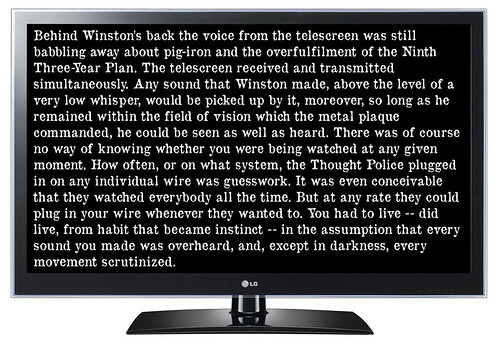 How often, or on what system, the Thought Police plugged in on any individual wire was guesswork. It was even conceivable that they watched everybody all the time. But at any rate they could plug in your wire whenever they wanted to. 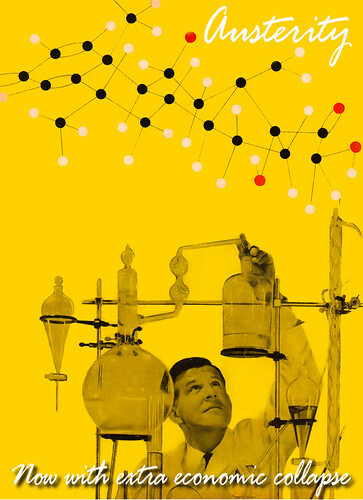 You had to live -- did live, from habit that became instinct -- in the assumption that every sound you made was overheard, and, except in darkness, every movement scrutinized." 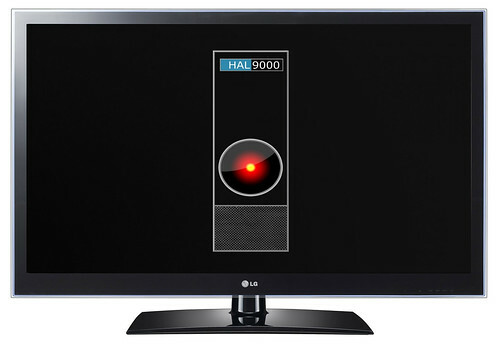 LG Smart TVs are watching you. LG Smart TVs are watching you., a photo by Teacher Dude's BBQ on Flickr. 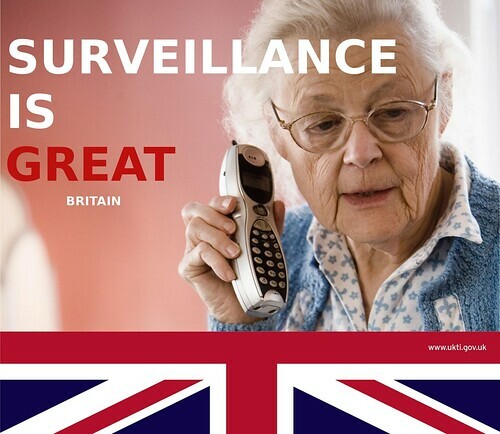 SURVEILLANCE IS GREAT BRITAIN, a photo by Teacher Dude's BBQ on Flickr. "The phone, internet and email records of UK citizens not suspected of any wrongdoing have been analysed and stored by America's National Security Agency under a secret deal that was approved by British intelligence officials, according to documents from the whistleblower Edward Snowden." Employees at the Fokas Department store sue company over failure to give them seven months back pay. Thessaloniki, Greece. Employees at the Fokas Department store sue company over failure to pay seven months of wages. Thessaloniki, Greece., a photo by Teacher Dude's BBQ on Flickr. 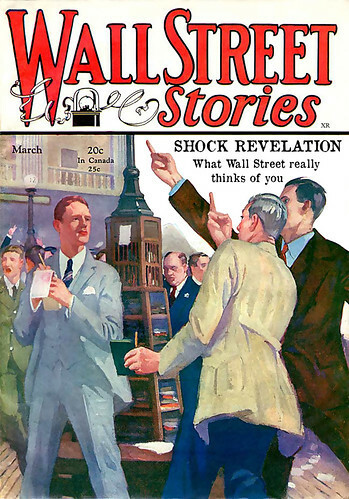 Wall Street Stories: what Wall Street really thinks of you, a photo by Teacher Dude's BBQ on Flickr. Austerity formula, a photo by Teacher Dude's BBQ on Flickr. 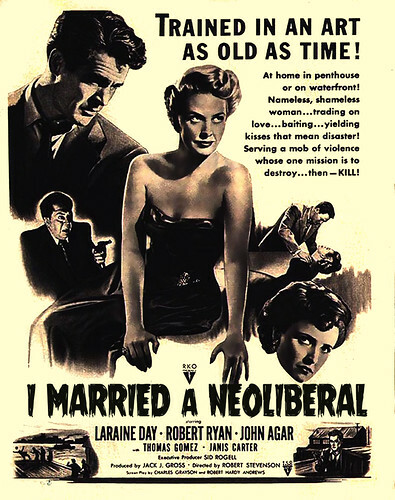 I Married A Neoliberal - The Movie, a photo by Teacher Dude's BBQ on Flickr. No job? No money? 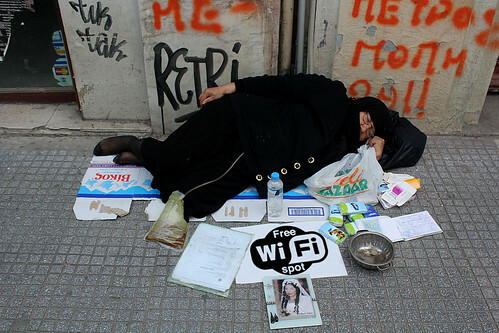 No problem: Greek prime minister, Antonis Samaraspromises free wi-fi. No job? No money? 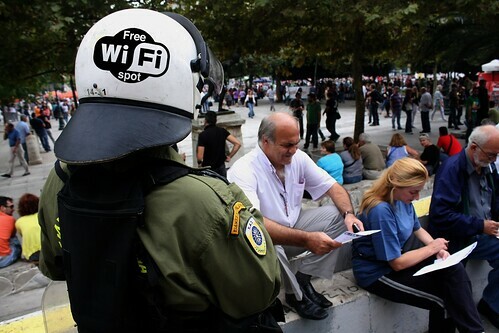 No problem: Greek prime minister, Antonis Samaras promises free wi-fi., a photo by Teacher Dude's BBQ on Flickr. This is a Photoshopped image. Satire and parody. The Recession Bride - "For Sale: wedding dress in excellent condition.Only worn once." The Recession Bride - "For Sale: wedding dress in excellent condition. Only worn once. ", a photo by Teacher Dude's BBQ on Flickr. "For Sale: Wedding dress in excellent condition, worn only once, embroidered with beads and with 1.5m train that can be taken. "This machine kills fascists", a photo by Teacher Dude's BBQ on Flickr. 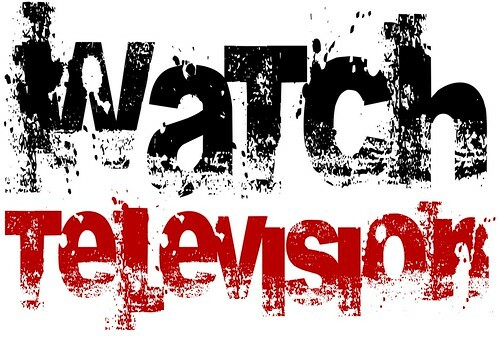 WATCH TELEVISION, a photo by Teacher Dude's BBQ on Flickr. Street portrait, a photo by Teacher Dude's BBQ on Flickr. 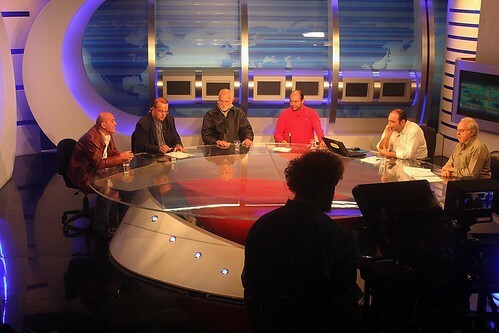 Greek public broadcaster ET3 defies government clamp down. 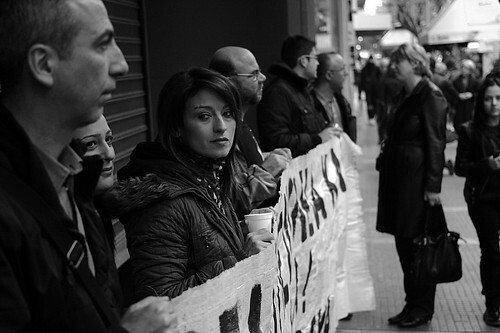 Greek public broadcaster ET3 defies government clamp down., a photo by Teacher Dude's BBQ on Flickr. Despite raid by Greek riot police units this morning on Athens Broadcasting House (Radiomegaro), home of state broadcaster, ERT, the public broadcaster's studios in the northern port city of Thessaloniki continue to defy government crackdown. Don't Be Late - A short infomercial designed to realign your consciousness. "Father, you don't listen to a word I say. No, dear. I pay the NSA to do that." "Father, you don't listen to a word I say. No, dear. 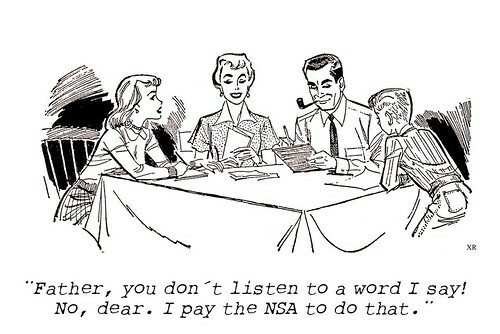 I pay the NSA o do that. ", a photo by Teacher Dude's BBQ on Flickr. 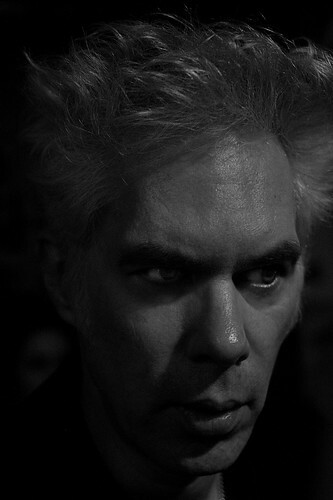 Jim Jarmusch, a photo by Teacher Dude's BBQ on Flickr. 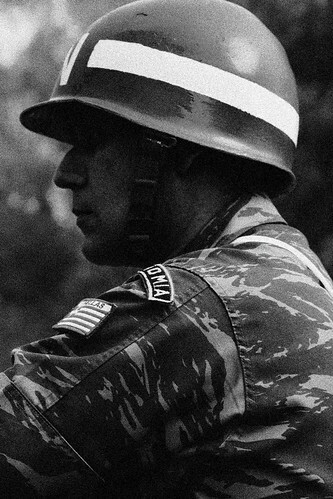 Greek soldier, a photo by Teacher Dude's BBQ on Flickr. Greek PM's latest pie in the sky scheme - free wi-fi for everyone. Greek PM's latest pie in the sky scheme - free wi-fi for everyone., a photo by Teacher Dude's BBQ on Flickr. 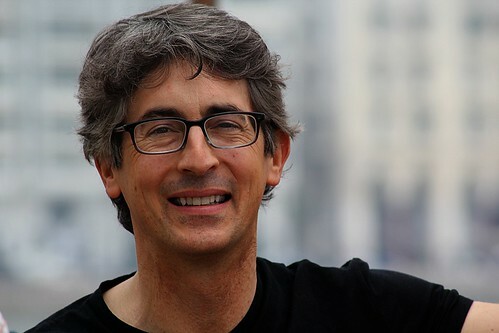 Alexander Payne at the 54th Thessaloniki International Film Festival, a photo by Teacher Dude's BBQ on Flickr. People make phone calls for all kinds of reasons and to ensure your safety we monitor them all. 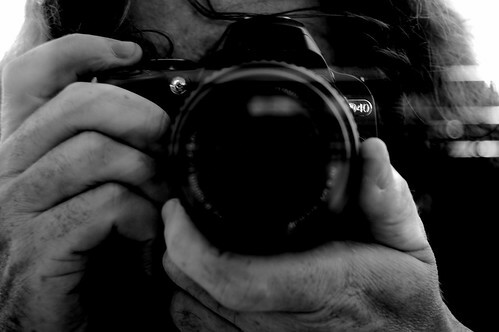 NSA, a photo by Teacher Dude's BBQ on Flickr. 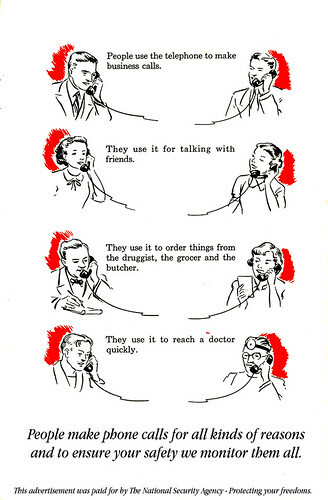 People make phone calls for all kinds of reasons and to ensure your safety we follow them all. This advertisement was paid for by the National Security Agency - Protecting your freedoms. Love the State, respect your boss - A message from our sponsors. Love the State, respect your boss - A message from our sponsors. a video by Teacher Dude's BBQ on Flickr. 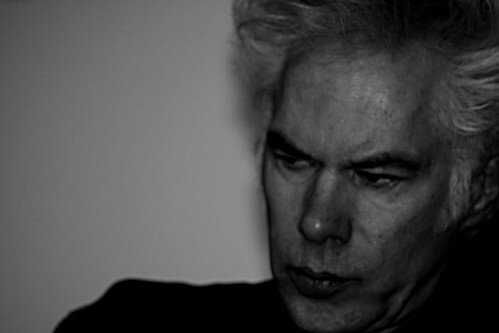 Jim Jarmusch at the 54th Thessaloniki International Fim Festival, a photo by Teacher Dude's BBQ on Flickr.